"This is something that I'm still trying to learn and develop in my lifetime," she says. She speaks about working with traditional knowledge keepers in a hospital in Toronto and shares a quote from one of those, Jan Longboat: "if you want to understand the health of the infants, you need to ask about the grandparents." She then segues into how we can get there. Her list includes teaching about natural laws like respect and honesty at an early age, visiting and sharing stories, connections with land and place, and prohibitions/taboos against violence. That last one is bolded in her presentation. "In the same way that taking care of my own health is important so I can make a stronger collective contribution... for others, sometimes that escalates. Things happen, and we get violence. That interferes with the collective wellbeing." She briefly touches on disruptors to this type of wellbeing: colonial policies, extraction economies like high prices for healthy food, racism, and "fast lifestyles." "I think you can buy 12 bags of chips for the same price you can get a salad here," she says. She presents a report titled "First Peoples, Second Class Treatment." "We can't just put things in this black box of colonization. We have to drill down." The problem begins with challenges for the parents, like mental health and addictions and unmet material needs, and then leads to barriers in service once someone becomes pregnant in that context, using an example of missing an appointment because you can't manage to take a bus with two young children. This then translates to bad health outcomes. "And then the cycle just continues, because the babies get apprehended." "The answers lie in our communities," she says. She uses the example of flying into a remote community and using her research expertise to find out which families need which supports over years. "Or, I could talk to three aunties and have that answer in about 5 minutes," she says. "This is what gets missed." Using the example of her own family, she speaks about the importance of everyday ceremony. "Ceremony is a funny word, because it doesn't translate into our language. Making a meal can be a ceremony." "These small ceremonies ensure we are ready for the bigger community ceremonies. Ensuring we can get what we need from them." This lesson is also important for outsiders who are wary of participating in community ceremonies. "We just see the costumes, we see the tools. But we miss the essence." She shares an example from elder Maria Campbell of a family gathering every day at 7 p.m. "It provided closure at the end of the day and helped calm the children down. These experiences provide a centreing and a sense of place... and through our lives, we can come back to this place, when times are tough." "Maybe this sounds very simple," she says. "But that's the thing, that's the knowledge that the aunties have. It seems simple until you've lost it." She contends that practicing everyday ceremonies could be an effective approach to curbing violence against Indigenous women and girls. She speaks about the Cree worldview "Wahkohtowin," which means "everything is related." "I believe that understanding those protocols... is key to stopping violence against Indigenous women and girls." These stories may seem simple, she says, but one of the barriers to health outcomes is that this common knowledge is missed. When it comes to health promotion in Indigenous communities, for example, people don't take the approach of just telling someone. Dr. Smylie talks about the importance of her ceremonial lodge. The lodge promotes coming together and ceremony and is shared by many people who work at universities, elders and families. She says she often raises topics at the kitchen table to see how they play - white fragility did not go over well, where medicinal storytelling did. This approach also allows for intersectional thinking and the mixing of research knowledge with traditional knowledge, she says. "Any group of people can do this," she says. "Some of you are doing it in other ways. Anybody can do it with hard work, commitment, and a willingness to trust in local collective knowledge and practice." A 5 minute break is called for. Dr. Smylie's testimony is expected to last 35-40 more minutes, according to counsel Christa Big Canoe. We are back. Dr. Smylie is continuing with other examples of strength-based practices that have a positive impact on Indigenous health and wellbeing. 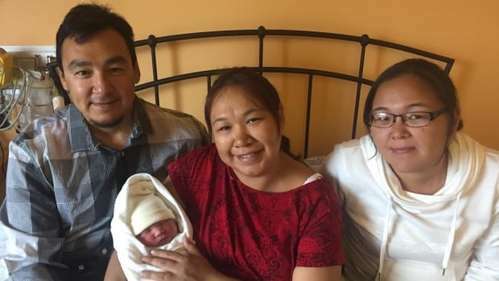 CBCOn Aug. 19, the Puvirnituq Maternity Centre in Nunavik delivered its 3,000th baby: Tom Colin Josie Unaluk. The centre, which also turns 30 this year, trains local women to become midwives, including several Inuit. She quotes Maria Campbell, who describes midwives as "role models and the glue that held communities together... they meant security for children." Indigenous midwives don't just provide prenatal care, Dr. Smylie says. Historically, they had many roles, including treating sick children and intervening and counselling in instances of family violence. 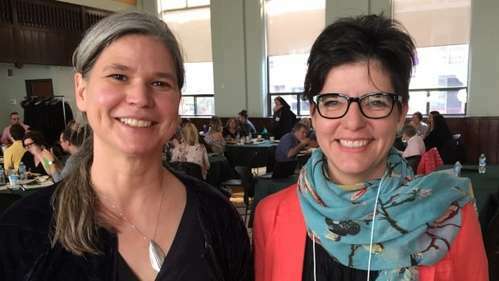 "It's longstanding, it's continuous, and it's something that's happened in almost every Indigenous, Metis and Inuit community I've been to," Dr. Smylie says. The practice is set up for continuity of relationships since birth, she says. "It's about health and wellbeing across the lifecycle... it doesn't just start when somebody's pregnant." The Indigenous midwifery movement is "building momentum," she says. She points out the Toronto Birth Centre, which recently opened and uses an Indigenous framework for everyone, not just Indigenous families. "If we could work together in a good way as health care and service providers... and respond to those unmet health needs, poverty and housing, things will get better for our communities," she says. "It's not rocket science." Putting Indigenous people in charge of their own health care is "the most effective thing," Dr. Smylie says. She speaks about a study where she worked on a team that made up a theory. "It's kind of a common sense theory," she says. "That if we were in charge of our wellness things would get better." What does this mean? It starts with community investment, she says. "If you can get to a critical level of community investment, this thing is owned by the community." She says this can be a hard sell: "I work in a Catholic hospital." Speaks about the council of grandparents as a way to encourage community buy-in. If you can get to a point where to "participate in the thing is actually an act of self-determination," she says, then you will have buy-in for your health promotion. Strategies include integrating the program with local community infrastructure and local staffing, among others. She speaks to the importance of traditional male parenting. On the whole, male parents "appear less confident," Dr. Smylie says. "And I think all those disruptors interfered with our parenting... but for biological parents, we had the babies, and they heal us. But the men, as our families got split apart, the role of the men got undermined." She references elder Lawrence Starr, who is helping people relearn traditional male parenting, including the Cree practice of setting up a swing for the baby. Her next example is of counting Indigenous health impacts. "I was concerned there was a deficit," she says. "I was concerned babies were dying and nobody noticed. That led to Our Health Counts, a series of reports on health data among Indigenous people in Toronto's urban community and other Ontario cities. CBCOur Health Counts Toronto is an compilation of four years of research and data about Toronto’s urban Indigenous communities. "If we don't count, then we get discounted," she says. The study found that the Indigenous population was undercounted in Toronto, Ottawa, and London (so far) than the census counted by 2 to 4 times. "That actually means the Indigenous population could be 50 per cent higher in the country," she says. Dr. Smylie says she would like to see more Indigenous people in counting and data services. "It's clean work, it's ecologic work. It's a resource for us." Her final example is of story medicine - using storytelling to heal from trauma. She speaks about Indigenous peoples historically re-enacting what happened that day in a war once they return to camp. "Some of the European settlers thought that was really violent," she said. "But actually, it fits... in a supportive community, it can help the wound heal." Dr. Smylie now turns to positive examples for non-Indigenous people. She speaks about "cultural safety," or using self-reflection to advance relationships. This requires an understanding of power dynamics and goes beyond cultural awareness and cultural sensitivity, she says. Dr. Smylie is flying through her examples. "Hopefully the translators won't beat me up after this," she jokes. Becoming aware of implicit race preference bias among health care providers is a strength-based best practice, she says. Her team has developed an online test for race preference bias between white and Indigenous people. "People in Canada are too polite, they don't talk about race preference," she says. "And that's good, because that means we know it's wrong. But we have to face the elephant in the room." Dr. Smylie talks about replacing stereotypes, using the example of making up stories about people on the subway in Toronto. "So I might see somebody, and I think 'oh, they don't have as much money as me.' So I make an assumption. How do I know how much money they have? So I have to interrupt that." She looks at common pitfalls, including underestimating local Indigenous community knowledge, the time it may take to build relationships, and the complexity of Indigenous community knowledge systems. Now to her recommendations. She starts by setting context: "I'm just one Metis person." 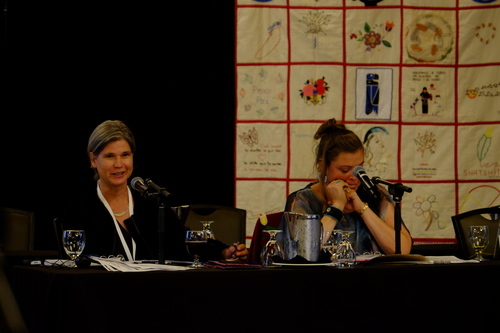 Dr. Smylie recommends that governments acknowledge and recognize the importance of strong early relationships, the importance of Indigenous family and community protocols, work on a national Indigenous initiative to support family and community strengthening, ongoing support for Indigenous infant and child development and midwifery, and developing Indigenous fathering programs, among others. She also recommends that educators and academics work with Indigenous people and groups to document and share "wise practices," and that health policy makers support research that advances Indigenous cultural safety training. "The last thing we want is people with good intentions... that are still hurting people with their misinformation." Dr. Smylie is wrapping up her presentation. She ends by acknowledging her family, elders, Indigenous communities, and coworkers, among others.